Shin splints don’t need splints…just some functional rehab. Do you have pain in the shins 400m into a run? You don’t even need to be running to experience the oh-so-evil pain of the shin splint. I’m Ethan at Valley Active here to tell you it’s easy to fix. The tibialis anterior muscle travels down the outside of the tibia bone and tucks in on the medial cuneiform/first metatarsal. 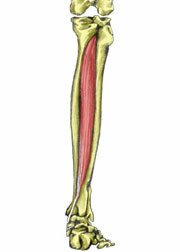 It pulls the toes and foot upward, which is called dorsiflexion. If it’s overly tight, it ends up getting glued to the tibia and turns into the steak you can get at a $4.99 buffet in backwoods Las Vegas. 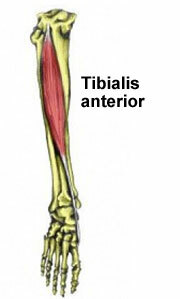 The tibialis posterior runs down behind the tibia bone and tacks to the bottom of the foot, doing the opposite of the tibialis anterior: plantarflexion (pointing your foot). When it’s overly tight, it takes on that gas station beef jerky texture. The tib posterior is THE critical stabilizer of the lower leg, so glue it down and wonder why you walk, run, and jump with serious ouch coming from the lower leg. With such instability, the foot caves in, the tib anterior can’t hang on, and it dumps the foot it’s supposed to be holding onto. 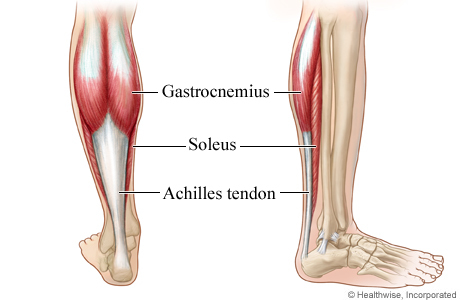 Additionally, the gastrocnemius and soleus muscles clamp down gluing the heel cord (Achilles tendon) to the bone, making your shin feel like you’re foam rolling with Lego pieces. 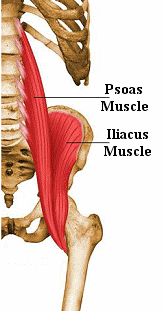 Finally the iliopsoas (the iliacus muscle + the psoas muscle) rotates the femur internally and mutes the pelvis. One of the quadricep muscles, the rectus femoris, comes off the AIIS (anterior inferior iliac spine, part of your pelvis) and locks the pelvis down so when you take a stride or jump, you look like Phoebe from Friends running. The pain you’re feeling with shin splints is inflammation of the medial portion of the tibia bone, and all the muscles and tendons surrounding it, stressing out like a college student during finals week. With all the issues I discussed above, it’s no surprise you’re in pain. The tibia bone is taking way too much mechanical stress, rather than distributing that stress to other parts of the body that are meant to absorb it. This issue seems incredibly complex. There’s so much going on to cause one symptom of pain in the shins. However, because the body’s muscles and bones are all interconnected, it makes sense that pain is caused by a collection of dysfunctional muscles. Make an appointment here at Valley Active and let’s get started with fixing your shin splints…for good! Your shoulders are meant to be mobile, stable, and strong. 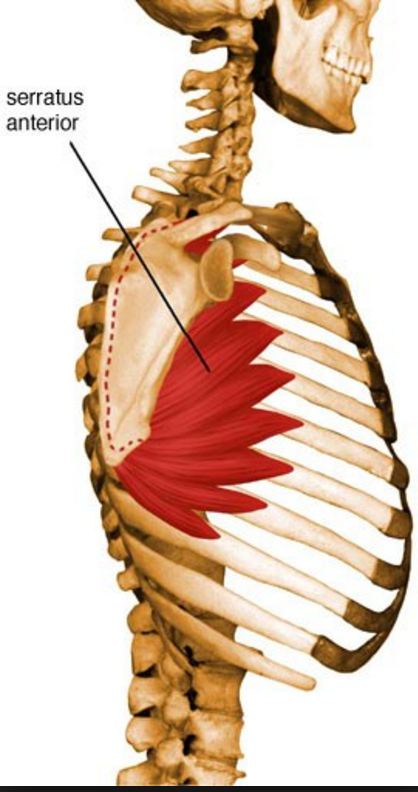 There are 15 muscles that directly affect the shoulder. If just one of those is out of whack, getting your favorite cereal off the top shelf at the grocery store is as hard as mobilizing rebar. The serratus anterior muscle comes from the upper 8 ribs and tucks under the scapula (shoulder blade) on the border of the vertebrae. It’s what gave Muhammad Ali his right hook and it protracts the scapula. Aside from pulling on your bones to move your body around, muscles also secure body parts in place. The serratus anterior keeps the scapula from turning into a dorsal fin by anchoring it to the ribcage. If your serratus anterior is overly tight, meaning it’s laminated to the ribs, it ends up with the strength and mobility of my mother’s 8-year-old Teacup Maltese on a hot day. Now, the trapezius comes from essentially the base of the skull to the last thoracic vertebrae and moves the scapula all over the place. If this muscle is overly tight, it drags the scapula upward and the serratus fights against it with the efficacy of that same Teacup Maltese. The glenoid fossa (the “socket” of the shoulder joint) gets torqued to the front of your body, dragging the humerus along with it, which now grinds along the labrum like Stoic the Vast sharpening his axe. The spinal accessory nerve that controls the trapezius needs to be unloaded from compression because the motor control of your trapezius is as functional as a sleeping bag full of black bears. 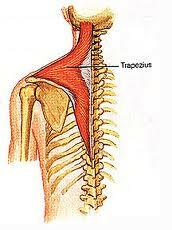 When the trapezius and serratus anterior are overly tight, they also affect muscles around them. The scalene muscles of the neck can clamp down on the spinal accessory nerve, causing pain down your shoulder and into your middle back. Fixing these tight muscles seems impossible…right? Wrong! It’s a complex issue, but any trained professional (physiatrists, physical therapists, physiologists, etc.) can spot the problem and give you the tools to fix it. Functional rehabilitation is necessary for a dysfunction such as this, so my recommendation is to make an appointment at Valley Active to get started with getting mobile.